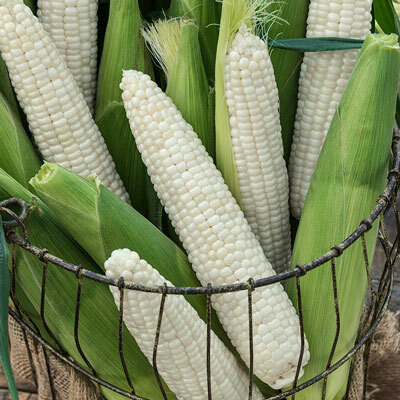 Sweet, bright white kernels with a tender crisp texture grow in 14-16 rows on 7½-8 in. ears. This early hybrid produces good yields of corn with excellent tip fill. Exhibits good disease resistance. Approx. 250 seeds per packet. 72 DAYS. For each offer ordered, get Approx. 250 seeds per pkt. Foliage: Attractive, dark green husks. Long, attractive flag leaves.